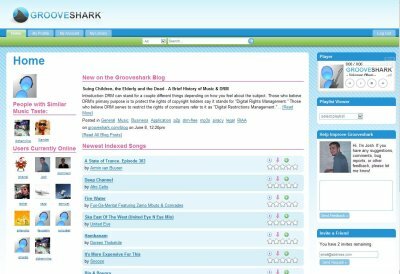 Grooveshark is a new social music website that is currently in closed alpha stage. I was able to get an invitation to the system and would like to write about it here at ghacks and also give out some invites to Grooveshark to a handful of lucky readers. Grooveshark works basically the following way. You start an application on your computer and decide which music folders you want to share with the community. This application has to be running in the background to be able to share and listen to the music on the Grooveshark website. If you are looking for a universal archiv software other than 7-zip you should take a closer look at IZArc which lately replaced WinRar on my computer. The real beauty of IZArc is of course it's support of most known archiv formats such as zip, rar, 7-zip, gz, ace, tar and dozens others including formats such as iso, bin and nrg. You should take a look at the Media Convert online script if you want to quickly convert an audio or video file into another format without installing a software like Super or Media Convert on your computer. The online script is able to convert files from urls or from your computer with a maximum size of 150 megabytes. 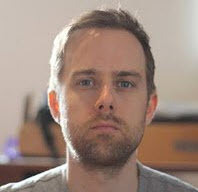 The input format is automatically detected if you chose to upload it from your computer while you have to select the format for the url links by yourself. Various output formats exist that can be selected. 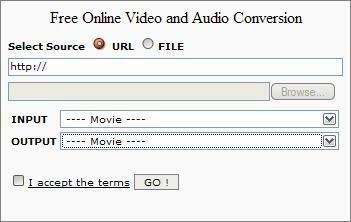 The list of available audio and video formats is long and all popular formats are supported. I have been trying several newsreaders for the Usenet until I finally found the one and only newsreader Newsbin. I purchased it years ago and can only recommend it to everyone else who is serious about the Usenet. I do know however that some users prefer free software and that is why I took a look at the Pan newsreader which is available for Windows, Mac and Unix. Pan Newsreader is offering a lot of features that commercial Usenet readers such as Newsbin are offering as well. It does support download binaries of course offering single-click encoding, multiple connections and simultaneous downloads and image previews of downloaded images. I first read about Trimark at the Torrent Freak blog. This new anti-piracy solution targets websites and the Usenet by scanning the contents for serial numbers that have been implemented into the music files. An identified serial number would lead to the owner - the person that purchased the music - who will be held reliable for the damages caused by the spreading. The article did not contain information about the technology behind Trimark other than that the "identification code maintains it’s integrity, despite copying or ripping." This is a very bold statement and I personally don't think that such a system will be possible unless they implement it in music that can be purchased in digital form only. We all know that Microsoft has decided to make the latest version of DirectX 10 Windows Vista only most likely to drive more sales to the new operating systems. Some independent developers have decided to create a working version of DirectX 10 for Windows XP with the goal to run any application that requires DirectX 10 also on that operating system. The current release is a alpha release and probably only interesting for developers or coders. The plan is however to support the two games that have been released for Vista only. Halo 2 and Shadowrun are the two games that can only be installed and played using Windows Vista at the moment. Seadragon and Photosynth are two new technologies that have been presented at the TED 2007 conference by it's architect Blaise Aguera y Arcas. Seadragon is basically a way to navigate seamlessly through a very large amount of image data. He was giving three examples at the presentation. First he introduced a 300 Megapixel image, then that he was able to zoom into a complete book and lastly that it was possible to create new types of ads that would allow to zoom in and reveal details that would not be possible otherwise. 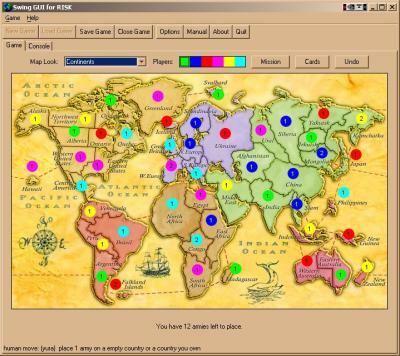 When I was a child I played Risk many times with my friends. I could not get enough of this game. We even created our own house rules to make the game more exciting. I have been playing JRisk every now and then since it was released and think that it is a nice Risk clone with some great features. What I really like about is that you have the choice to either download it or play it on the developers website. You do need Java to play the game but this should be installed on most computers anyway. The version that can be downloaded should be best suited for most users because it plays definitely faster and has an option to save and load games. I would like to share a really nice and easy way to rip any kind of audio from videos and save the audio in mp3 format. This is a great way of adding music to your collection for instance or to get podcast like shows by ripping the audio from documentations or other videos. Genbeta are reporting that you can get a free version of the Divx Pro suite for a limited amount of time. All you need to do is go to Windows download or Mac download and download the divx pro software. You are asked for an email address during installation which will be used to send the Divx pro key to. You probably want to uncheck the "I would also like to receive" offers. Handy Recovery is a file recovery software that is able to recover (accidentally) deleted files on your system. If you have read my blog in the past you probably know that deleting files does not really delete them immediately but only removes the reference to the file. I personally think that is is very important to use anonymizers whenever possible for most of the tasks on the Internet. All of your movement and actions are tracked and can be easily traced back to you which is probably something that most users on the Internet are either unaware of or do not like at all if they know that this is the case. One major problem are P2P networks where anonymity is not that easily achieved. If you do lack the technical background you will face severe difficulties on the road to anonymity. There is however a great solution if you want to be anonymous while downloading and sharing files on Bittorrent. A reader was asking me if I knew of a program that would observe selected folders and move new files automatically from those folders into different ones. It took a while until I found an universal software that is able to observe an unlimited amount of folders and move new files that are either moved or created in that folder into another one. 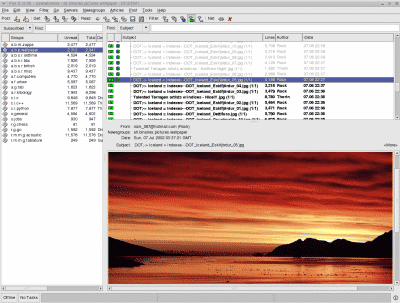 FileWarper is a German freeware which is fortunately not difficulty to use. I took the liberty and translated all buttons and explanations into English. You need to configure the tool once and keep it running in the background. Let me explain the various settings, don't worry, it is not much. I'm normally not that easily fascinated by art, especially be the form of art found on the Internet. This art project however caught me by surprise. 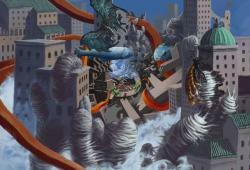 I found reference to the picture on Digg where it was advertised as "The Most Awesome Pic EVER". My first thought was of course that someone was again using the term awesome to draw attention to his article. This might have worked for the first post on Digg with the term awesome in it but Digg is flooded with it nowadays. There is no obvious way in Firefox to reduce the size of the menu toolbar. I always thought that it was a big waste of space to have this bar enabled all the time. I'm personally using the Tiny Menu Firefox extension which displays just a Menu item next to the usual buttons such as forward, back and reload. I added a screenshot of how my setup looks like at the end of the article. I did find another interesting Firefox extension called Personal Menu which reduces the menu bar to three buttons that can be placed in the other toolbars. Two buttons are for the bookmarks and the history function while the third is fully customizable. You can add any kind of menu from the menu bar for instance to this personal menu. 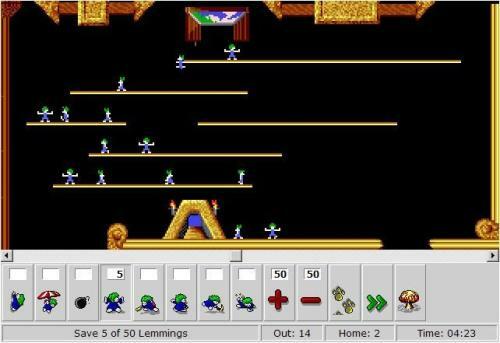 I enjoyed the original Lemmings game on my Commodore Amiga 500 but lost interest when the series evolved. Let me explain the rules in case you never heard about Lemmings before. Your task is to complete all the levels of the game by directing enough Lemmings from the entrance of the level into the level exit. I found a great free software that is able to manage all of my media collections with ease. One of the greatest feature of Data Crow is that it is not only a software for managing DVDs, CDs or books but provides a way to manage all of them. To be precise it is able to manage Software, Movies, Music Albums, Audio CD's, Books and Images. 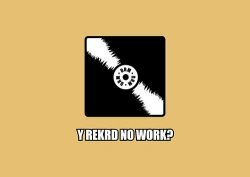 The sites Torrentfreak and Beautiful Crime announced an Anti-DRM T-Shirt competition a while ago and all entries to the competition have been posted on the Torrentfreak website. All 46 T-Shirt designs can be seen and everyone may vote for their favorite T-Shirt design. Who would have thought that this competition would get such a large amount of entrants ? You can find some really clever designs among the 46 and I would like to display the five designs that I liked the most here at Ghacks. Just head over to the Torrentfreak website to take a look at all of the designs. The winning design will receive a price of $250, the second one of $100 and the third a price of $50.